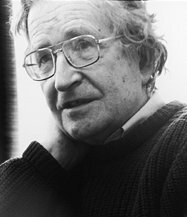 Readers of this blog will be interested in a web-exclusive interview with Noam Chomsky now available on our homepage. Did you know that Chomsky has a painting of Oscar Romero in the corner of his office at MIT? Nicholas Haggerty, a Fordham undergraduate and editorial intern at Commonweal, begins the interview by asking Chomsky about that painting. It turns out that Romero is one of many Catholics Chomsky has come to admire over the years. NC: That’s too much self-glorification. What’s translated in English as “prophet” doesn’t mean prophet. It basically means intellectual. They were what we would call dissident intellectuals. Amos says, “I am not a prophet. I am not the son of a prophet. I’m a simple shepherd and farmer.” He was distancing himself from what we would call the intellectual elite, and speaking for the people very eloquently. Jeremiah, of course, was not treated nicely for his pleas for mercy and justice. But that’s typical. The people we call the prophets I think are the earliest dissident intellectuals, and they’re treated like most dissident intellectuals—very badly. They’re imprisoned, driven into the desert. King Ahab, the epitome of evil in the Bible, condemned Elijah as a “hater of Israel.” This is the first self-hating Jew, the origin of the term. It goes right up to the present. That’s the history of intellectuals. Most of them are false prophets, flatterers of the court. The real prophets are the exception and treated badly. How badly they’re treated depends on the society. Like in Eastern Europe, they were treated very badly. In Latin American, they were slaughtered.